In today's blog post, I am going to introduce you to another new brand called Formula 10.0.6. Some of you might have never heard of this brand before as it is fairly new in Malaysia but Formula 10.0.6 has actually been around since 1933 in the US! Pronounced as Formula 'Ten-O-Six', this brand main focus is on addressing skin care concerns, especially for trouble-prone young skin. 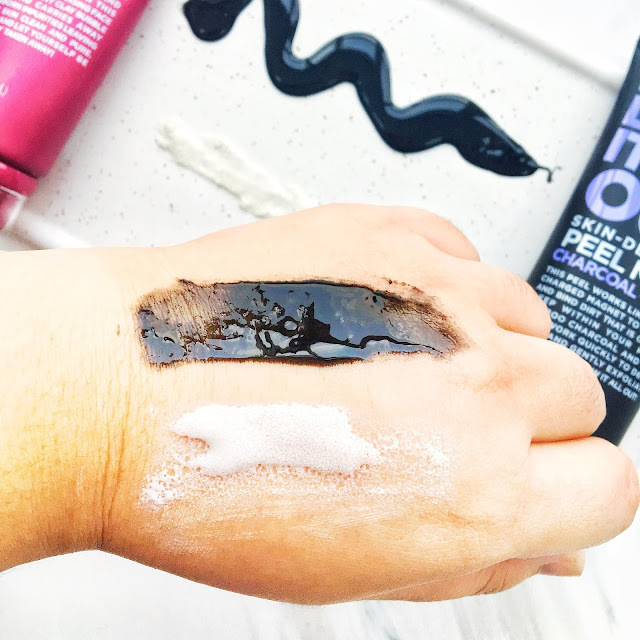 Their US website showcases a wide product range including both skincare and body care but so far, Formula 10.0.6 Malaysia has brought 12 products in and just released another four new masks this month. I was really lucky to get my hands on two of their recently launched masks earlier before they are set to be available for purchase thanks to The Butterfly Project's collaboration with Formula 10.0.6 Malaysia. I have been testing them out frequently so now that they're out, you'll have something to help you decide on your purchase (hopefully)! The two masks that I am talking about are the Formula 10.0.6 Draw It All Out Skin Detoxing Peel Mask and Formula 10.0.6 Total Take Away Bubble Mask. 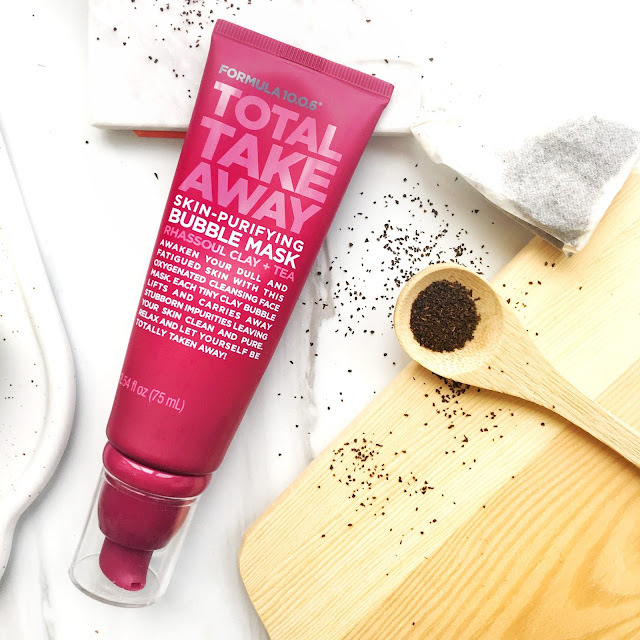 Let's start with the Formula 10.0.6 Total Take Away Bubble Mask. 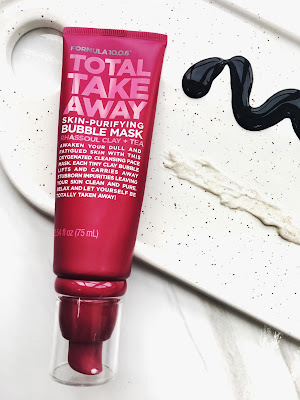 Formulated for dry and dull skin, this mask comes in an easy to use pump tube and can be used 1-3 times per week in place of your daily cleanser. Required to be applied on a damp face, let it bubble up for a good 2-3 minutes before gently massaging the skin and followed by washing off the product with warm water. This oxygenated cleansing face mask contains tiny bubbles that lift and carries away impurities, leaving the skin clean and soft. I find this product to be gentle and non-drying for my skin. With key ingredients such as Rhassoul Clay and Tea, the clay helps to clear the pores while the latter acts as an antioxidant on our skin. It also contains a natural moisturising ingredient derived from sugar beet molasses. Available for RM49.90, I think this mask is one of the more gentle bubble masks that I've tried and is my favourite out of the two masks that I am reviewing today. It gives my skin glow and makes it feels soft to touch. Really suitable for my dry and sensitive skin. I love the scent of this product but I have no idea how can I describe it except that it's such a pleasant smell LOL. 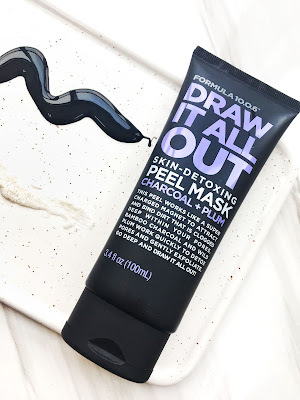 The Formula 10.0.6 Draw It All Out Skin Detoxing Peel Mask is formulated with two key ingredients; bamboo charcoal and wild plum. 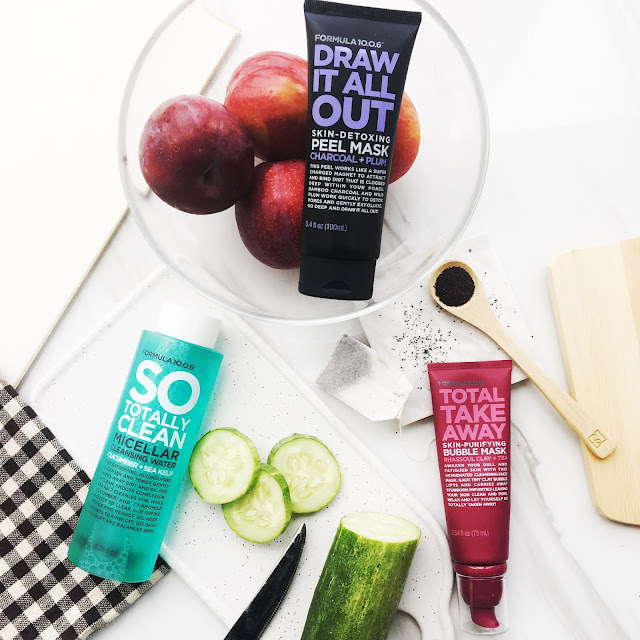 Charcoal for starters has always been the go-to source by beauty brands to solve pore issues as they're great in helping detoxifies it, absorb impurities and toxins as well as lightly exfoliates the skin. So for me, it's like seeing a good old friend. I know very well that it works. The more interesting ingredient to me is the wild plum. This product uses a complex mix of three different Australian plums to help nourish, moisturise and invigorate the skin. 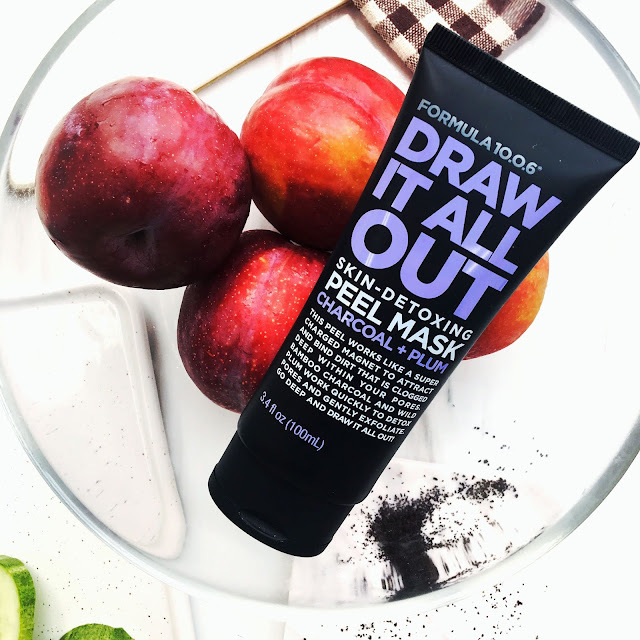 Available for RM39.90, this peel-off mask is said to act like a supercharged magnet; attracting and binding dirt that is clogged deep within the pores. Used on a freshly cleansed and dried skin, all you have to do is apply a thin layer over the target area and allow it to dry (10-15 minutes) before gently peeling it off starting from jaw lines upwards. After peeling it off, rinse off your face just in case there is still some residue left on the skin. I felt mild tingling sensations every time I apply this on, but according to the instruction, this is pretty normal. If the tingling becomes too strong or you could see rashes on your skin, make sure to stop using this immediately. So far, I can see some of my pores shrinking slightly after using the product but the 'pulling' effect of this mask is not as strong as I wanted it to be. I do like how easy it is to peel off the mask once it's completely dry. It rarely breaks except on areas where I applied it a tad too thin. On top of the two newly available face masks, I also received an alcohol-free toner from Formula 10.0.6 called the So Totally Clean Micellar Cleansing Water. I have pretty a irritable skin so I find some cleansing water to be too strong for me albeit claiming to be gentle to the skin. I can count with less than five fingers how many cleansing waters out there that I've tried and totally like. For example, the Purevivi Cleansing Lotion which I've reviewed before and is currently my number one cleansing water. This Formula 10.0.6 So Totally Clean Micellar Cleansing Water seems to be a strong contender to that because not only it helps remove makeup with little product, it's alcohol-free, gentle on my skin (does not sting at all) and is also very refreshing. It can be used as a toner as well and features the use of sea kelp and cucumber in its formulation to help wipes away dirt and oil off the skin for a clean and smooth complexion. 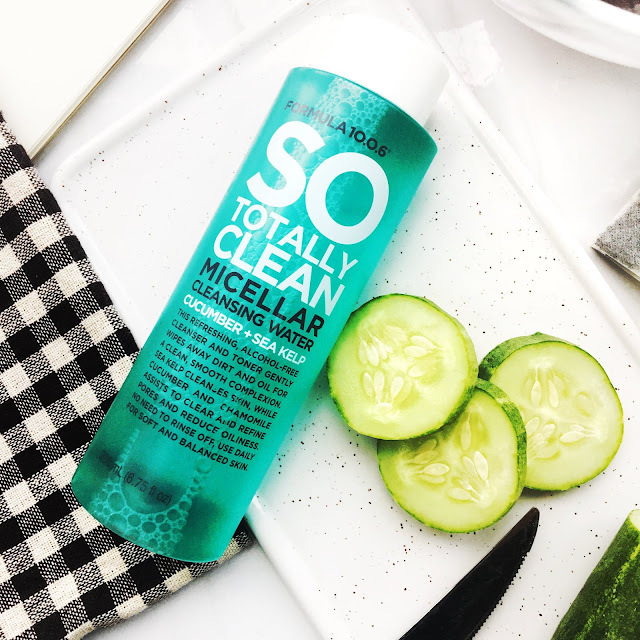 Cucumber for once is a mild ingredient that help gives both moisturising and soothing effect on the skin, balances oil and gives a cooling effect on the skin. Meanwhile, sea kelp works to remove impurities and also works as a good soothing agent. On top of that, this product also helps minimises unwanted shine and refines pores. The So Totally Clean Micellar Cleansing Water can be purchased for RM39.90 and does not require any rinse off after application. Other ingredients used include chamomile, witch hazel, echinacea, lavender and fennel. For more information about Formula 10.0.6 Malaysia, kindly visit the website luxorbeautyworld.com or their Facebook page at Formula 10.0.6 Malaysia. Also available for purchase on Watsons online & selected Watsons stores (list here), Lazada Malaysia, and ASTRO Go Shop.